LiveCode LessonsLiveCode LessonsHow To - LiveCode Mobile Tasks In-App PurchasingHow do I implement in-app purchases in LiveCode - Apple AppStore? Next: How do I implement in-app purchases in LiveCode - Amazon Appstore? Why doesn't mobileStoreEnablePurchaseUpdates work under Livecode v6.6.2? The documentation instead refers to mobileEnablePurchaseUpdates? 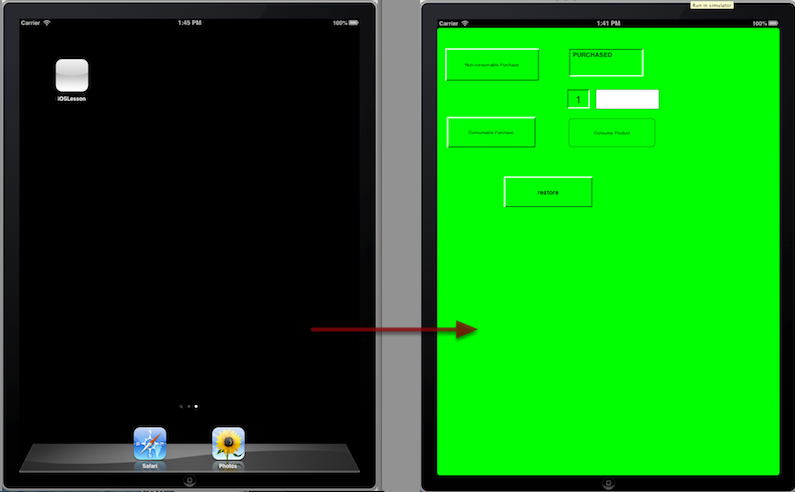 Same for all other Apple In-App livcode commands. The mobileStoreEnablePurchaseUpdates command, as well as all mobileStore* commands/functions, were first introduced in LiveCode 6.7. So, if you use LC 6.6.2, you have to use the old in-app purchasing related commands, as described in the dictionary. Trying to get this code to work ... but it just doesn't. So frustrating. I downloaded the entire LiveCode file and tried it just the way it is and it still doesn't work. Not sure what to do. Is there any way I can send somebody my code to help me get this going? I want to have the app ready to send to Apple by end of week and this is the only thing stopping me right now. Thanks! Thank you for your comment. The attached LC file is not supposed to work just the way it is. You have to replace the product IDs of the example with your own product IDs. These must match the ones you created in iTunes Connect (see step 1). Moreover, you have to use LC 6.7 or above, and make sure you test your in-app purchases on a physical Apple mobile device. Testing on simulator may not work. Furthermore, it is recommended to have a test account set up in iTunes Connect so that you can test your in-app purchases without spending any money. Panos! Thank you so much for your quick response. Yeah, I have been trying it with the product IDs with nothing happening. 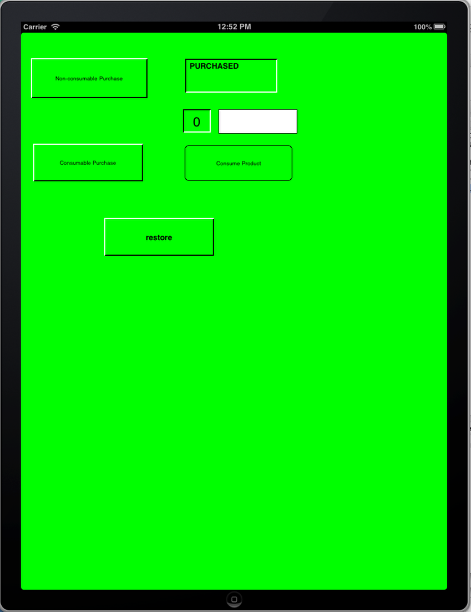 That's why I tried downloading just the original LiveCode file to see if the stack would turn the green background color that was shown in the tutorial but it didn't work. However, that was in 6.6.2 not in 6.7. Downloading that now. Another question ... So, let's say my app is called com.stephenbrucedesigns.marie and my product is called Africa1. Would I put just com.stephenbrucedesigns.marie in product ID or com.stephenbrucedesigns.marie.Africa1? Sorry if these are simple questions. I'm still new to LiveCode. Thank you for your help! You are welcome. The product ID you use in your code must match the product ID of the in-app purchase that has been set up in iTunes Connect for the app. So, if in iTunes Connect you have put "Africa1", you must use "Africa1" in your code. Hope this helps! Hey Panos. So, on my iPhone, when I click on the "non-consumable" button it asks me to sign in to my account (which I add my test account). When I enter it, I get this error ... "Error occured during purchase handling: Cannot connect to iTunes Store." What does that mean and how can I fix it? Thank you so so SO very much for your help so far. Really appreciate it! Hey Panos. Yep, I changed the app id to mine. I will, however, try adding a new test account. I haven't tried that yet. Thank you! I'll keep you posted in case others have this issue as well. In case you have not done it already, you have to select a valid provisioning profile (in the standalone application settings). Mm that's weird. The "Cannot connect to iTunes store" error comes from Apple, not from the LiveCode API that handles in-app purchasing. If you google for this error you will see that is a quite generic and not very helpful one! In my case, the issue was fixed by adding a new test account. Note that first you have to clear any account information stored on your test device. (Settings -> Store -> Sign Out). Then, do not sign in using your test account information in the Store settings panel. Doing so may invalidate your test account. Then launch your app and make a purchase. A window pops up and prompts you to sign in. Choose "Sign in using existing Apple ID", and use your test account credentials to sign in. Very weird. It should go through with my actual iTunes account, right? Now, do I have to have the actual app file uploaded to iTunes Connect? I read that you didn't have to in order to test but I'm willing to try anything at this point. Not sure what to do. You bring up an interesting point. Mine says "prepare for upload" and not "ready to submit." Do you think that could be the cause? 1) The app is now "Waiting to Upload"
2) I also noticed this message at the top of my in-app purchase ... "This In-App Purchase is not currently available for testing in the sandbox environment because you have chosen to host your content with Apple, but have not delivered your content. Upload your content to test this In-App Purchase in sandbox." So, it looks like I do need to upload the content. I think we may be on to something here. Thank you so much! I'll keep ya posted. Hey Panos. Making some progress. Did come across another issue. How do I create a .pkg file instead of .app in LiveCode? 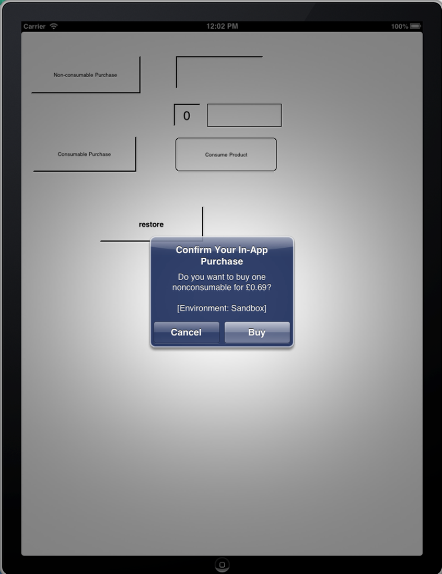 The in-app purchase has to be uploaded as .pkg. Thanks! 1. After selecting "In-App Purchase Content" as the template for your new project, you have to enter the Product Name and Company Identifier such that the Bundle Identifier matches the Product ID you entered in iTunes Connect for this in-app purchase product. 2. It can take some time between uploading the archive and the iTunes Connect status being updated. If you struggle to make things work (or if you accidentally enabled Hosting Content with Apple! ), you can always undo this selection by deleting the In-App Purchase product and re-configuring it. Note that you can’t use the same product ID when you re-create the product. However, I don't think you will have any problems if you read carefully the Apple docs or the tutorial. I will be out of office for two weeks, but keep me posted and I will reply back as soon as I return. Good luck! Have a great couple weeks off! Yeah, looks like I'll have to do it in XCode. Which really stinks because I did all the code for the In-Apps Purchases in LiveCode. You see ... I'm developing a kids storybook app. The different stories will be downloaded through in-app purchases. Each story has code for swipe and a page scroller. So, really stinks. Thanks for all your help. Despite having followed all the above, I'm still experiencing fatal crashes when implementing Apple In-App behavior under LiveCode v6.6.2. Looking at the XCode console log, the crash occurs after a successful call to 'mobilePurchaseSendRequest tID' but before the call to the 'purchaseStateUpdate' handler. Is there anything glaringly wrong with the handler below? answer "Thank you - payment received!" Your code seems fine.Can you also post the code that is responsible for sending the purchase request? I found that when this lesson was created the auto renewal subscription was not allowed by Apple to all categories except magazines and newspapers. but Now apple allows all apps implementing this subscription model. "3.1.2 Subscriptions: Apps may offer auto-renewing in-app purchase subscriptions, regardless of category on the App Store. When incorporating auto-renewable subscriptions into your app, be sure to follow the guidelines below.” - From App Review Guideline. So here is my question. How can I restore a purchased subscription item in the iOS environment? Can I just adopt code from android in-app lesson? hope you could help me regarding this matter..Thanks for your time. Is push notification required for in app purchase? I saw push notification is checked when I downloaded the test stack. Hi Jun, no push notifications are not required. If this is checked in the sample stack it is an oversight.